REDMOND, Wash. (Nov. 13, 2015) — MediaAlpha, an advertising technology company that develops programmatic advertising platforms for vertical search media, today announced that it ranked 13th on the Deloitte’s Technology Fast 500™, a ranking of the 500 fastest growing technology, media, telecommunications, life sciences and energy tech companies in North America. MediaAlpha, who developed the first and only transparent, real-time platform for the buying and selling of performance media, grew 5,057% over a three-year period. 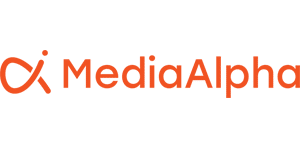 MediaAlpha is an advertising technology company that develops programmatic advertising platforms that bring transparency and efficiency to the buying and selling of performance media. The company’s exchange technology powers transparent, real-time private and open exchanges for insurance and other vertical-specific performance media. The company is headquartered in Redmond, WA and has offices in Los Angeles, CA and Tampa, FL.